Dana Lim is the leading manufacturer of adhesives, sealants and fillers in Scandinavia. We develop and produce quality solutions focusing on the customer's needs. We continually adapt our extensive product range and services to the market, and always act quickly. Our direct daily contact with customers, end-users and associates means that we can rapidly implement new ideas and continuously develop quality products for new users, requirements and standards. We also work consistently on upgrading our product range that extends to over 400 products - making it the broadest in Scandinavia. 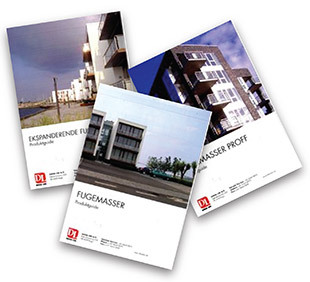 Dana Lim’s organisation is based firmly at our international head office in Køge. This is the home of the biggest R&D Department in the Nordic Region, working closely with the production, technical support, logistics and administration departments. Dana Lim has become firmly established as a venerable Danish business owned by a charitable foundation over 85 years. We believe that satisfied, proud employees are the cornerstone of a healthy business. That’s why we prioritise seniority highly, along with job security and a pleasant atmosphere at work. Dana Lim is owned by the Kai Hansens Fond. Each year the foundation yearly awards the Dana Lim Award aimed at scientific research that benefits Danish industry or society.